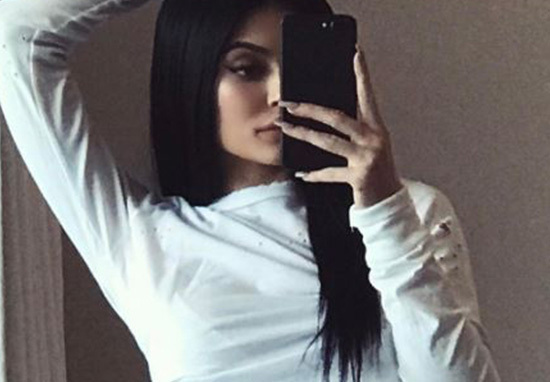 Kylie Jenner has been accused of photoshopping herself yet again. The youngest member of the Kardashian Klan is never too far away from a photoshop fiasco, but it seems this time it’s pretty obvious and her followers are up in arms about it! Obviously her followers were quick to pull her up on this bizarre phenomenon and wasted no time in pointing this out in the comments. Lots of people were questioning how the reality TV ‘star,’ had managed to create the shape of her hips and even scrutinised how her exercise regime could have impacted on an inanimate object. Squats??? How about I call out your deformed moulding on the door to the left. Photoshop and Photoshop and more Photoshop. Cmon Kylie, look at that photoshop. The wood is warped on your door hun. Definitely another awkward situation for the Kardashians. Whoever is editing her selfies, they may want to invest in further photoshop lessons… Just saying.